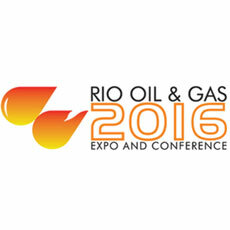 Rio Oil & Gas is the largest gathering of energy professionals in South America, and is held on even-numbered years. Organized by the Brazilian Petroleum, Gas and Biofuels Institute (IBP), the 2014 event set a record in the volume of businesses done and in the number of university students attending it, having attracted over 47,000 people to Riocentro. The 2016 event is expected to be even larger. Boasting almost 40,000 sq ft of exhibits and 47,000 attendees, over the last 34 years Brazil’s largest and most popular energy trade show has grown into one of the signature events of the global oil and gas industry. Rio is a thriving tourist destination and offers beautiful beaches, a thriving nightlife, and breathtaking scenery. However, petty crime and theft are persistent problems even in high traffic areas. Keep your purses and wallets secure and be mindful of your surroundings, particularly at night. Cabs in Rio are reliable and cheap, and even the subway is a safe and reliable means to move about the city. Because of issues with customs and the risk of late arrival shipping exhibit components to Brazil is never a good idea. It’s best to engage a build partner in or near Rio. Brazilian stand builders are very skilled and familiar with the unique challenges and specific build regulations involved in executing a successful stand at Riocentro Exhibition and Convention Center. At first they can seem to lack a sense of urgency and find it difficult to adhere to schedules, but rest assured your stand will be ready in time for show opening.